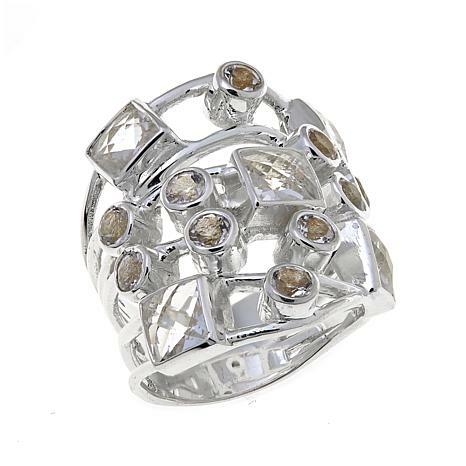 If you like your accessories eclectic and artistic, then you'll love this modern ring from designer Deb Guyot. Its wide, openwork design features 15 separate, fancy-cut Herkimer "diamond" quartz scattered across a ladder-like frame. 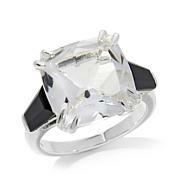 Contemporary and chic, it has the look of multiple, stacked rings in one beautiful piece! I just couldn't resist buying this Deb Guyot Design...Love It!! Very large ring which I wanted for my index finger. You really don't need to wear other rings when you're wearing this large design. Very well made. I just love the Herkimers. 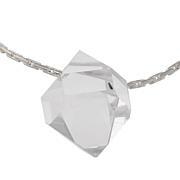 I actually was introduced to "Herkimer Diamonds" when I was young in Upstate New York. So I know about the stone and just love 'em. 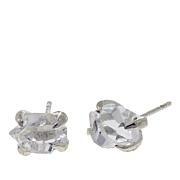 Even though the setting is large, the Herkimers are just the right size; there are 15 total-rounds and squares. To top it off, it is very comfortable to wear. I'm so glad I decided to buy this ring! I would definitely size up as they instructed during the presentation. This ring is so comfortable! Buy it, buy it, BUY IT!! !